This is a Sponsored post in association with Richmond Sausages. Richmond Sausages are a firm favourite of all 3 of my girls. They have a long association with visits to their Grandma. Anyone who visits Grandma Julie will find the oven or grill on within minutes of entering the house. Anyway, back to the event. 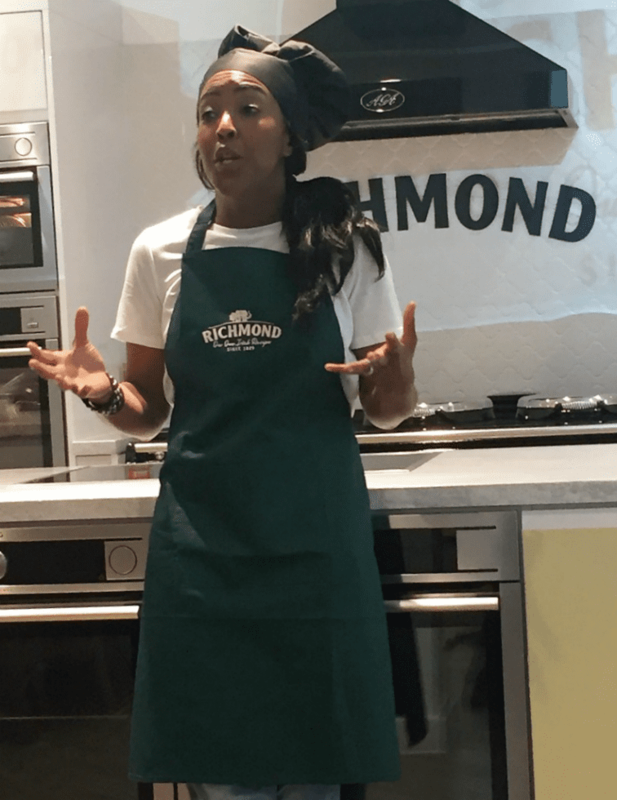 We were given demonstration on how to use Richmond Chicken Sausages in some of the #NationsFavourites sausage dishes. These include Sausage & Mash, Toad In The Hole (see below for a pic of a healthier version containing added vegetables too) and Sausages & Chips (We went with wedges covered in parmesan). We were given examples of 3 different types of gravy that we could serve with the sausages: Sherry, Balsamic & Red Wine. All delicious and show casing how versatile sausages can be. My tip of the day that I learnt was to always add hot butter when mashing potatoes as using cold will reduce the temperature of the mash and it won’t be as fluffy. Since coming back home, I wanted to experiment with a dish we quite often eat with sausages: Our Easy Family Chicken Sausage Pilaf. While we are huge fans of risotto in this house, sometimes its just not practical to stand over a stove stirring the rice for over 30 minutes. My cheats pilaf allows most of the ingredients to be cooked at the same time with minimal stirring and mixing together right at the end. A pilaf is rice that is cooked in a stock to give added flavour. 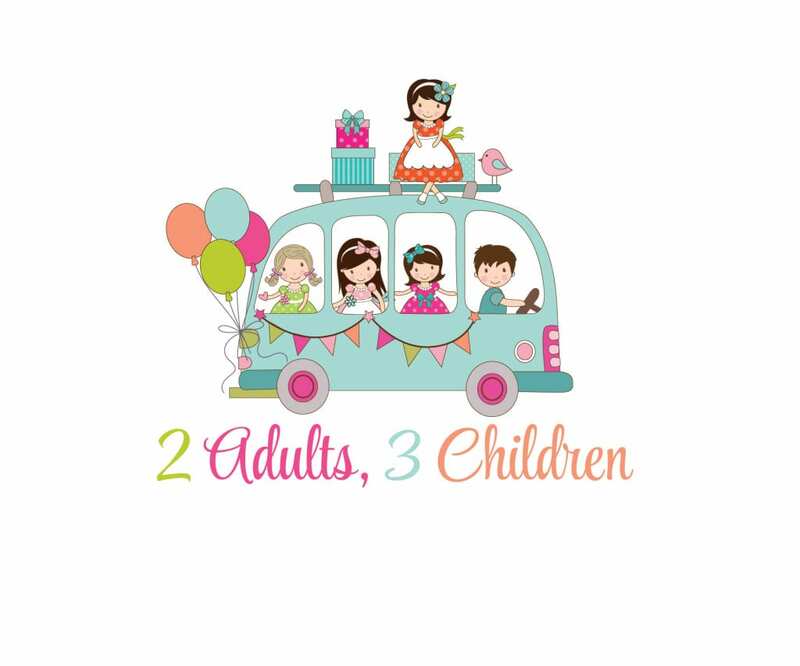 I am happy to be able to host a giveaway for one lucky reader to win a £25 Tesco voucher. 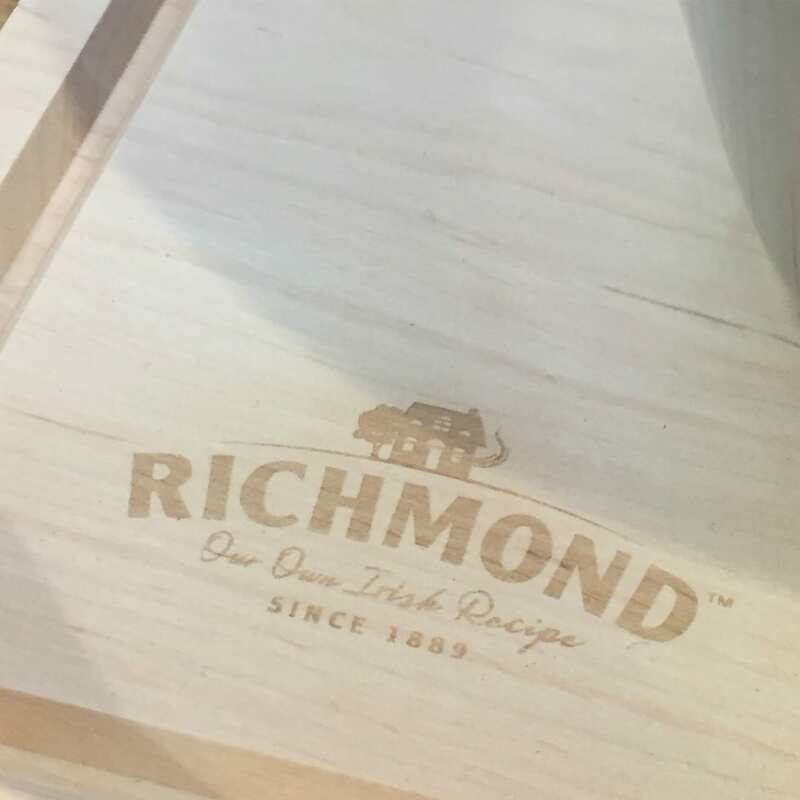 All you have to do to enter is leave a comment below telling me which meal you would use your Richmond Chicken Sausages in and who you would like to eat them with? Simple as that! • Giveaway will run from 15/05/2018 – 27/05/2018. • There is one prize to be won. • The prize is non-transferable and no cash alternative is offered. • One entry permitted per person. • This giveaway is open to UK entries only. • Entrants must be age 18 or over. 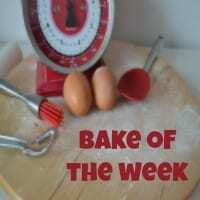 • Data controller for the purposes of this giveaway is BLOG NAME. Your details will not be used for any other purpose than selecting/informing a winner. • Winner’s details will be passed to Flea Enterprises, who are responsible for sending out the prize. • Entrants must enter by leaving a comment on this blog post. • All entries will be checked. • The winner will be informed by email or on Twitter. • Failure to respond within one week may result in a new winner being drawn. • Entry into the giveaway will be deemed as acceptance of these terms and conditions. EDIT: The lucky winner of the #25 Tesco Voucher was drawn at random and is Tanya. Tanya has been informed that she has won. Congratulations Tanya! 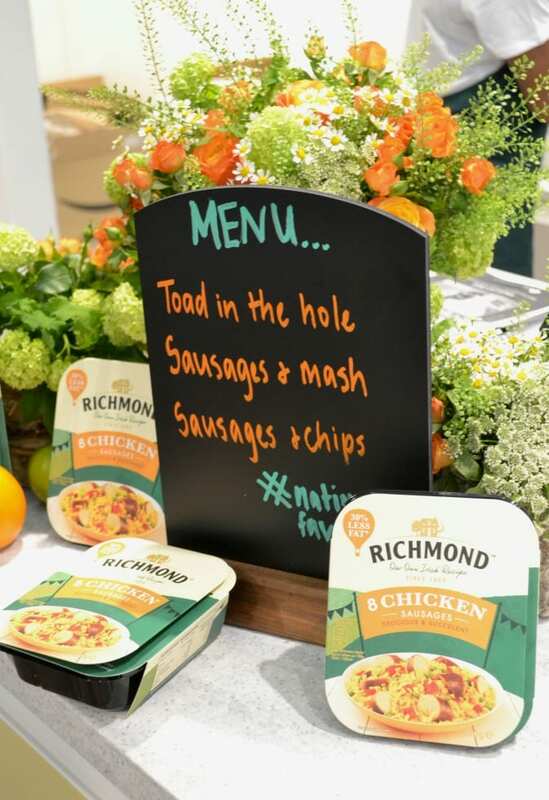 I only buy Richmond sausages but I have never tried the chicken ones. They are on my shopping list to try. I love a sausage casserole but I will give the pilaf a try. I’d use them in my partners Butter Chicken for when I don’t want to wait too long for him to cook it. Would be amazing in the creamy, buttery sauce, with his home made chapatis and rice. Nom nom! I’m drooling just thinking about it. Goodness me, I need to come and try your partner’s Butter Chicken! Food sounds amazing in your house. I’ll have to try your recipe with some of the Tofurky Italian or Kielbasa sausages. What a fantastic opportunity to work in that kitchen though, huh? 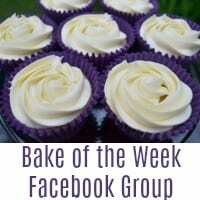 It was so lovely – I couldn’t help noticing that the ovens were a tiny bit cleaner than ours at home! Oh my goodness I want this to try like right now. Hands up I do love a good sausage meal and this sounds like a really delicious way to make something a bit different with them. There’s just something so comforting about a sausage dish, isn’t there? Always feels like proper family time. One pot meals are so versatile and great to serve after a busy day. Nice recipe that can be adapted to add different ingredients. Yes anything that saves on washing up and time is a bonus in this house! Okay this looks amazing! I am going to have to try this one at home and my hubs is always looking for new meals to try at the fire station too! Thanks for sharing! Sausages and fire station food is surely a match made in heaven? I love chicken sausages because they are lower in fat and can’t wait to try the Richmond ones. I’d use them in my own recipe sausage bake with onions, peppers, butter beans and tomatoes. Theae sausages would make my high protein / low fat meal even better. I’d love to share the meal with Joe Wicks as his recipes have inspired me to develop my own healthy recipes. Ooh I bet these would go brilliantly with butter beans. Love the sound of your recipe. We love cooking with sausages, although they are veggie, but I love a good sausage bake and the idea to have them with rice like this. Yum! Aren’t sausage bakes just so convenient? Brilliant for after school tea times. I’m sure she would be really happy with these – I’m so impressed by the quality of the chicken sausages. I would use these sausages in my Spicy Sausage Bean Casserole. It’s one of those meals you can add to while it cooks slowly throughout the day, as more guests unexpectedly decide to turn up for dinner. Pinned ! We have to admit that Richmond Sausages are our favourite, love how you’ve mixed it up! Thanks very much – A good rice dish always goes down well with us. Oh wow, the addition of bacon sounds incredible. After the day at Richmond, I’m all about adding veg (and other ingredients) to Toad in the Hole. I love the sound of these chicken sausages! They’d be a lot lower in calories than beef or pork too, I should think. Yes they are – All the benefits of comfort food with none of the supposed guilt. We aren’t really sausage eaters but this does sound absolutely delicious! All the other flavours do go brilliantly with the sausages – Definitely worth a try! 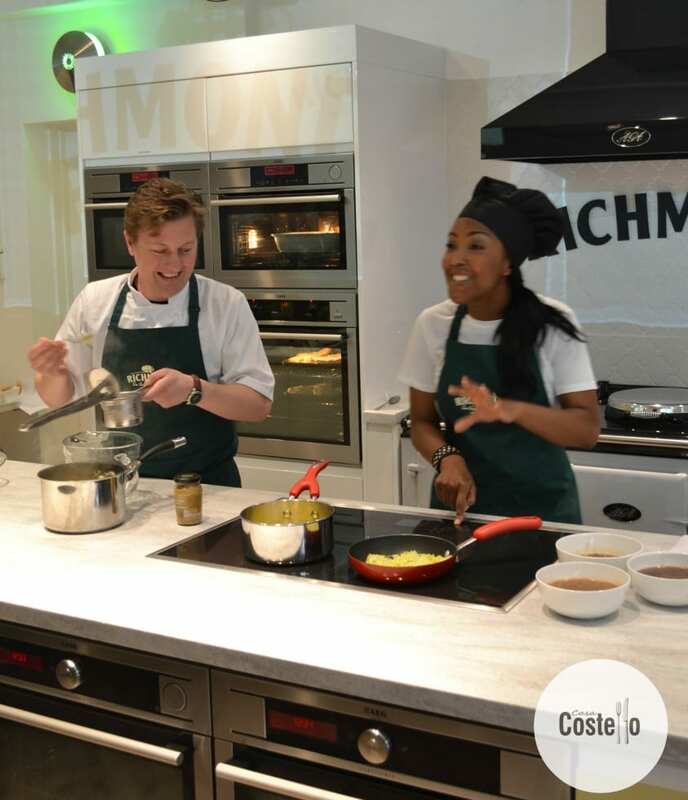 Yes I do enjoy attending blogger events – so much fun and I always manage to learn something too! Hope you enjoy it when you try it. How do families manage without sausage recipes? Ooh I’ll have to hop on over to your blog to see how you made your sausage pilaf. I would make sausage and bean casserole for my husband and wee boy. They both love it and it would work well with chicken sausages – would make a nice change! Oh I think we might just have to have sausage and bean casserole one night this week. You have me tempted. Richmond sausages are a family favourite so will have to see if I can Puck up a pack or two next time I’m shopping. Top tip for mash potato, I always add cold butter to will try warming it first. I like the idea of chicken sausages, but it’s good to have a recipe to go with them. I guess the lighter taste of chicken would work well with a pilaf. 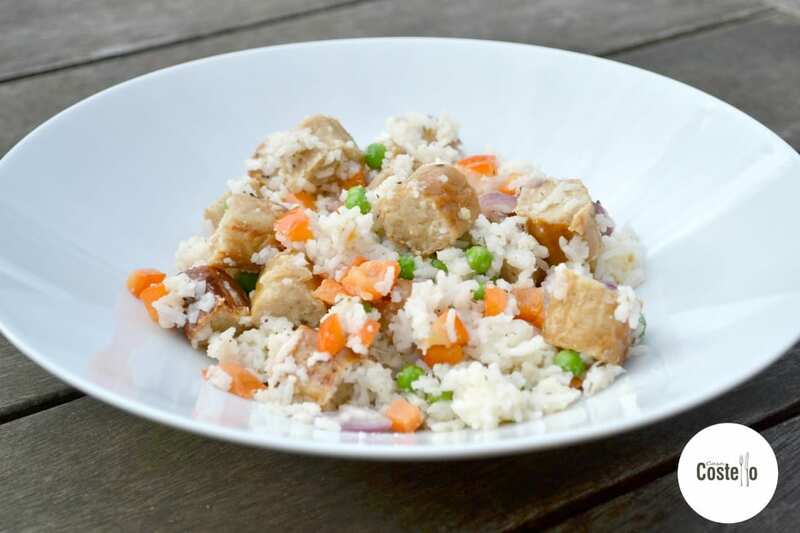 Yes the delicate chicken flavour has plenty of opportunity to shine through with the rice and stock. How have I had never heard of chicken sausages before. Definitely one to try. Your recipe looks delicious. Chicken sausages are so much more tasty than I ever thought they would be. Oh I love sausage dishes, perfect comfort food whatever the season. My dad loves richmond sausages and i love having them when I go over to visit. I agree about sausage dishes being right at any time of year. 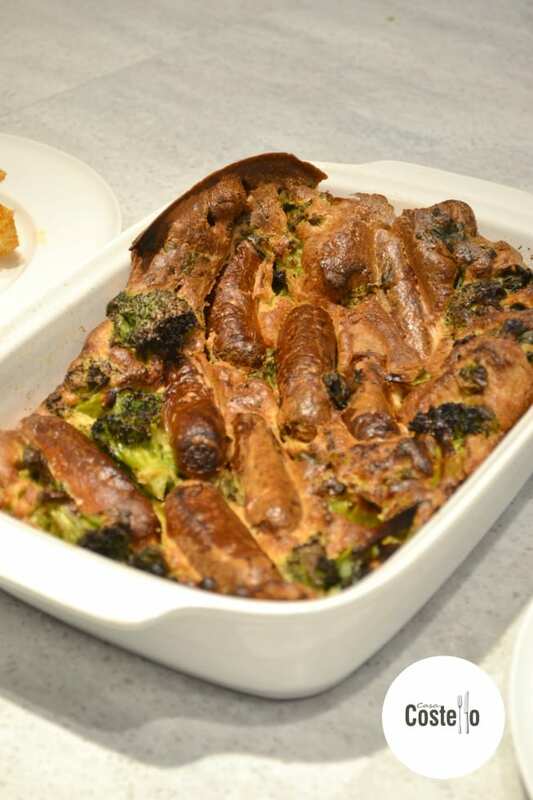 Keep going with your Toad in the Hole – When its right, its just divine! I would do a chicken sausage and mushroom pasta bake, using rigatoni. I would like to share it with my next door neighbor who has just lost her husband. She loves chicken and mushrooms, but says she can’t be bothered to cook for one, which is a little sad. She is just so nice, kind and like a mum to me and I’d love to spend mealtimes with her. I would enjoy them in a sausage and leek bake, with cider and sliced potatoes, topped with a little cheese. With my partner. Good to see chicken pilaf, thought that was just my Mum that made that! Your mum sounds like a very wise woman!